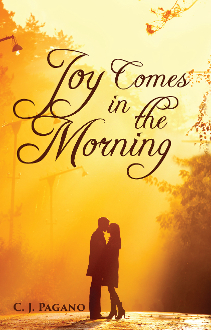 From celebrated Christian romance author C. J. Pagano comes a book about love and loss . . . and moving on from tragedy to start a new adventure. When Peggy Stewart—a young widow with a beautiful daughter, Samantha—encounters a handsome stranger on her break between classes, she yearns to know more about him. Despite growing feelings of anxiety, Peggy spends time with Sam Merriman, a Vietnam War veteran. The two of them fall in love, and a whirlwind romance ensues. Along the way to their happily ever after, Sam must battle his feelings of inadequacy as Peggy struggles with guilt about honoring her late husband’s memory. Sam soon realizes he’s ready to become Samantha’s father and Peggy’s husband, but will Peggy be able to move past her doubts and insecurities in order to walk down the aisle?